The Team is everything for successful organisations. So don´t expect us to be easily convinced, if you are a recruiter. 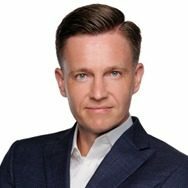 Sebastian Brede is the CEO of expondo and has been working for the company since 2012. Before he started working at expondo, he has worked at mgm commerce and is also the founder of AB Marketing GmbH. He has an engineering degree in print and media technology. 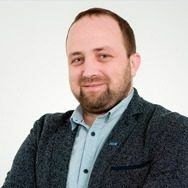 Marcin Minkowski is the head of the Purchasing Department, leading a team of expondo product managers and buyers, while also being in charge of new product implementation and goods purchasing. He has more than 15 years of experience with purchasing and quality management from several production and trade companies. Before expondo he worked for VOX, a furniture industry company, as procurement and process manager responsible for purchasing processes control. He was also a quality manager in the Polish division of the international company Hilding Anders – a significant IKEA supplier, where he was responsible for quality assurance management and engaged in the improvement of processes. 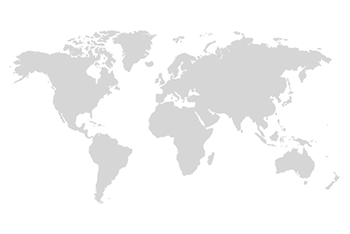 Minkowski holds an M.B.A. from Aalto University School of Economics in Helsinki and many other post-graduate diplomas, inter alia: International Business at the University of Economy in Poznan and Lean Six Sigma Black Belt at Gdansk University of Technology according to Loyola Marymount University Center in Los Angeles. 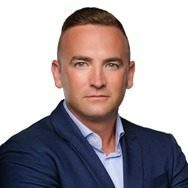 With eight years of sales experience and being responsible for the development of international sales locations, David Fisher is now the head of sales for expondo. 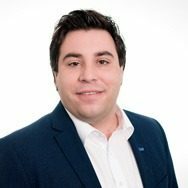 Before working at expondo he has worked as the deputy sales manager for Jago AG and was also responsible for the project leadership of the b2b market. 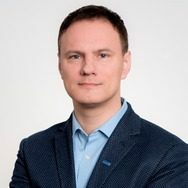 Jacek Powalka is an experienced manager in strategic marketing, customer experience management, CRM in e-commerce, telecommunications and logistic sectors with 19 years of experience in companies such as PepsiCo, Orange, Polkomtel S.A. (Vodafone Group) and InPost. He has won many awards and distinctions for CRM & Marketing projects: International Contest of Direct Marketing "Boomerang", Golden Arrow, Crackfilm, including dignity for the best campaign of the year. He is a speaker and lecturer at universities such as Warsaw School of Economics and Nowy Sacz School of Business - National-Louis University (PL). Additionally, he is also a member of Direct Marketing Association and CRMcommunity.com. He holds a master’s degree in business administration, having majored in eCRM from Maastricht School of Management. Since 2016, Jacek is the head of Marketing and is accordingly responsible for marketing strategies and implementation at the expondo group. Since 2017, Ivo Martin is the head of HR at expondo and is responsible for the HR strategy and implementation at the expondo group. He brings to expondo a wealth of HR capability, having accumulated more than 15 years of HR experience at both national and international level. 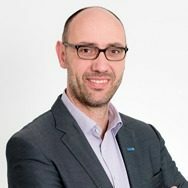 Ivo was the HR director at Intel Deutschland & Austria and prior to joining Intel, Ivo held senior HR positions at t-systems, BT Ignite, NetApp and The MathWorks. Ivo holds a bachelor's degree in business administration, having majored in HR from the University of Nuertingen. As Head of Finance, Christian Schulze is responsible for both external accounting and company controlling. 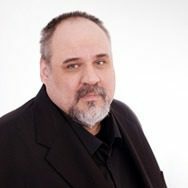 In December 2015, he joined the expondo team, having changed from PRIRO Zerspanungstechnik Ltd & Co. KG. In the two years spent there, he was in charge of accounting and controlling, but also of the annual financial statement preparation, current accounting, liquidity planning, liquidity management and receivables management. As early as during his studies, Christian was already gathering accounting experience. For example, for three whole years he was, among others, responsible for financial accounting in the engineeiring office Dressel & Vogel. 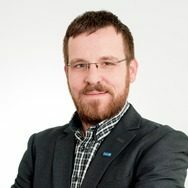 Waldemar Moss is the co-founder of expondo GmbH in Berlin and a partner in the company. His remarkable hands-on-mentality has helped turning expondo into an internationally successful business with more than 200 employees. Previously to his career in e-commerce, Moss worked at the German Federal Criminal Office. He studied law with a focus on German/Polish Law at the European University Frankfurt (Oder). His operational focus at expondo is on logistics, finance, pricing, law and structure. Both founders share the responsibility for purchasing, product management, HR, marketing and R&D. In 2007, Piotr Stach founded the company expondo with Waldemar Moss. With this, the present-day partner fulfilled his lifetime dream: Leading an international company that successfully combines customer focus, price consciousness and the art of engineering. Stach studied economics at the European University Viadrina and TU Berlin. His focus at expondo: Sales, IT, customer care and engineering. Both founders share the responsibility for purchasing, product management, HR, marketing and R&D. Would you also like to become part of the expondo team?